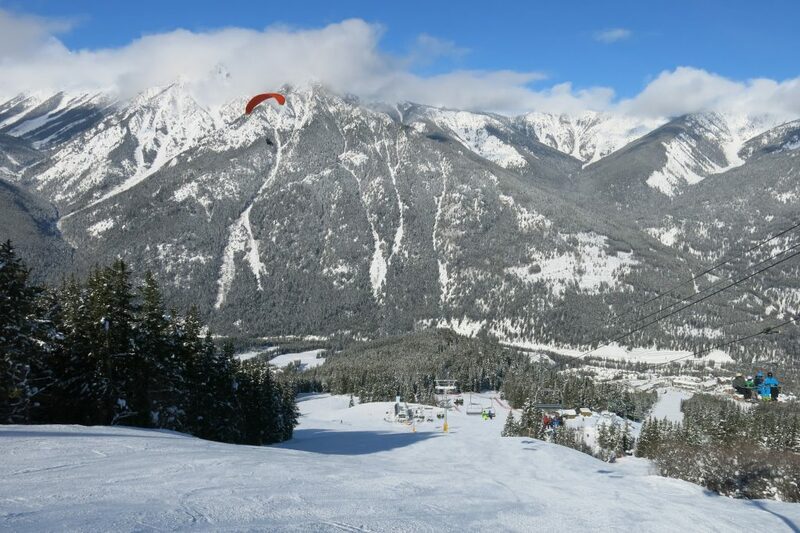 Panorama is one of our favorite resorts, located in Southeastern British Columbia in the Purcell Mountains. 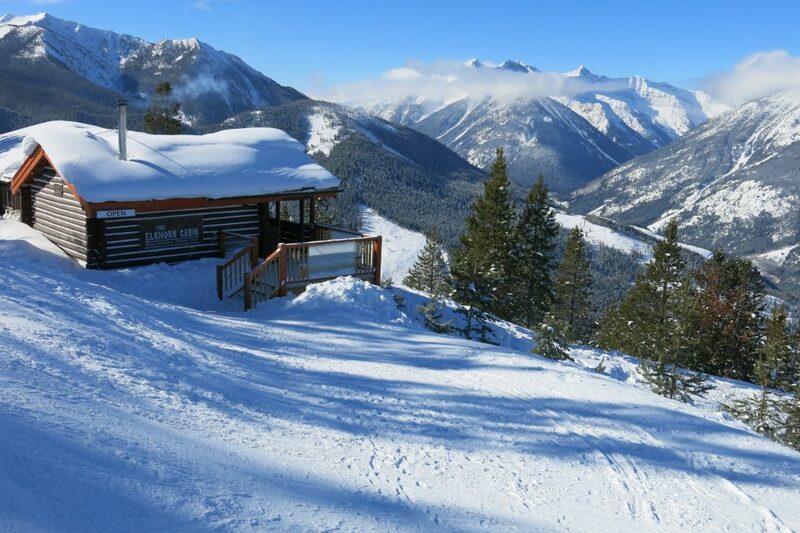 It’s in the top 10 of vertical drop for resorts in North America and has a wide variety of terrain and a substantial base village. These things make it a popular destination even though it’s fairly remote. 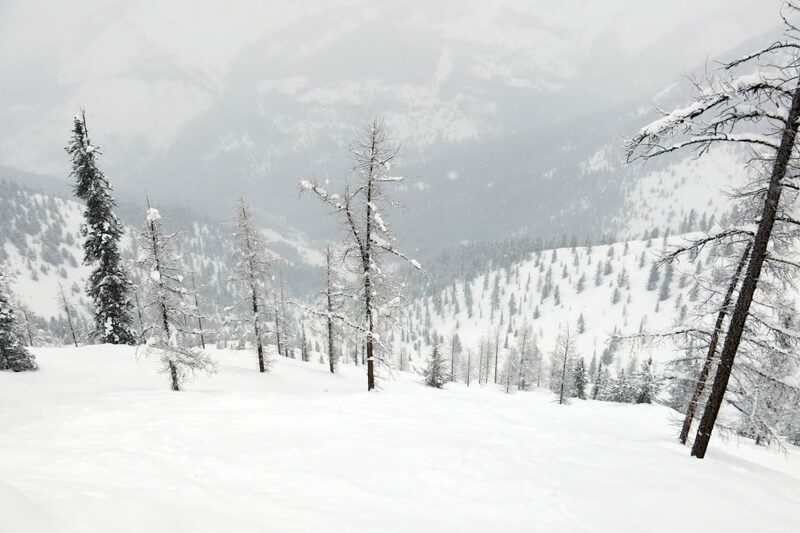 We had originally planned to spend only one day at Panorama on the tight schedule we had skiing the Powder Highway resorts. 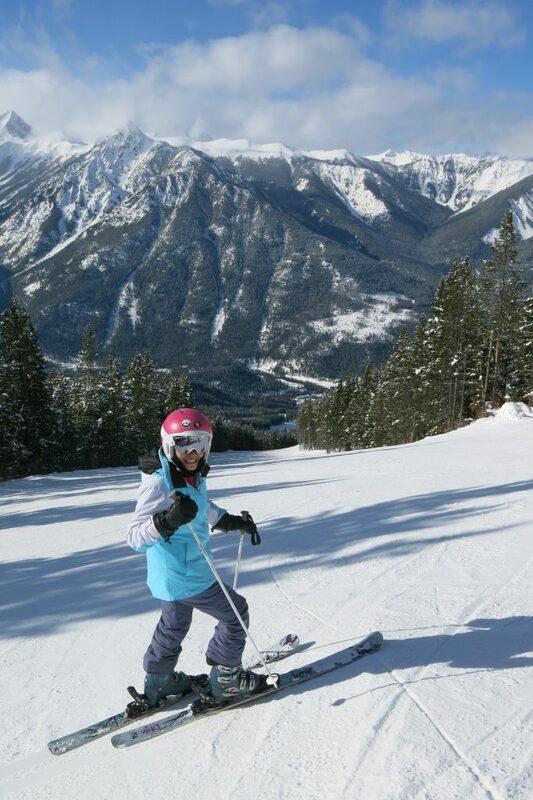 Luckily we decided to leave Kicking Horse one day early and spend the extra day at Panorama. 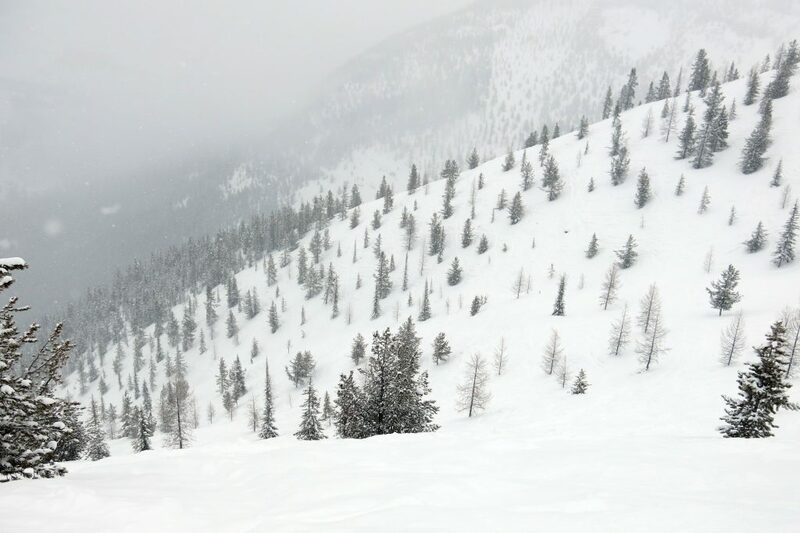 That was the best decision of the ski season because we found Panorama to be super fun. Our lodging was a reasonably priced B&B style place just a short walk from the lifts. We never had to drive anywhere because pretty much everything in Panorama is walkable in the village. 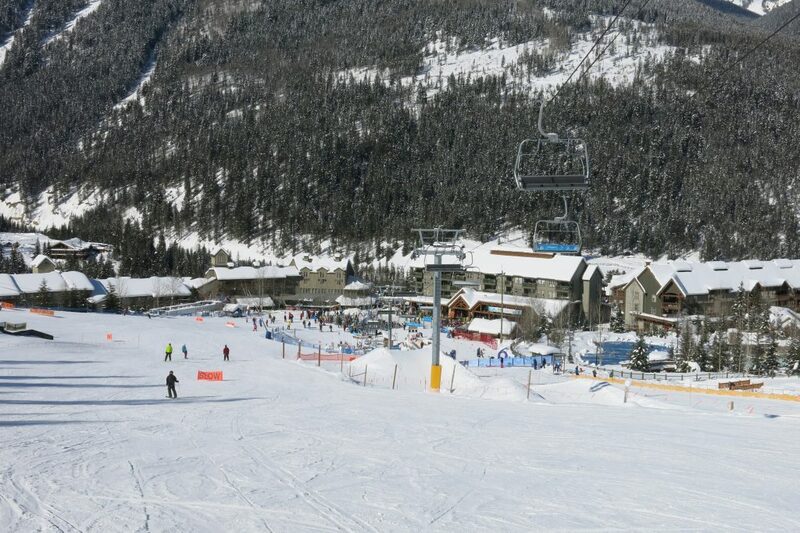 There is a good selection of restaurants and shops in the village and some good options on the mountain. 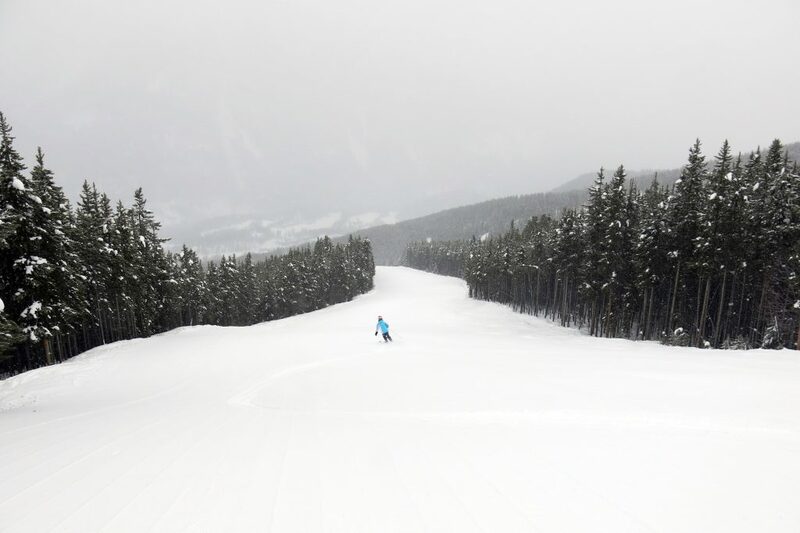 Every day at Panorama starts on the Mile 1 Express which is one of 3 lifts required to get to the top. 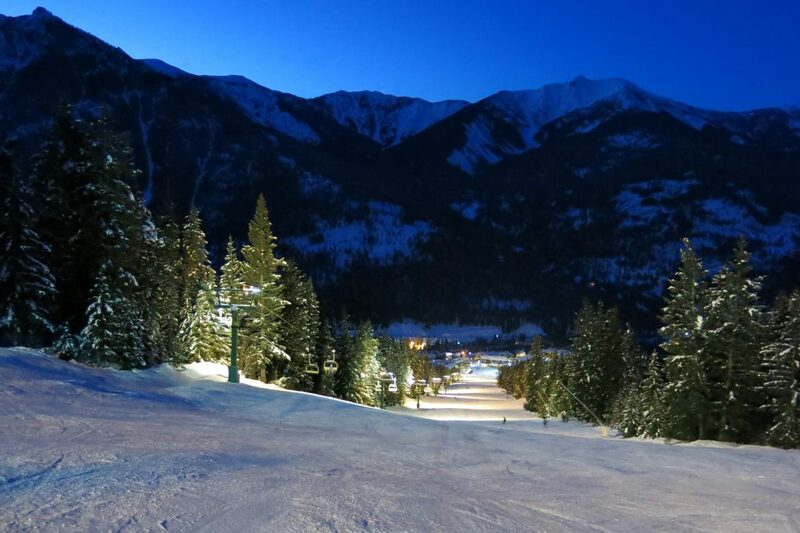 Mile 1 serves mostly green and easy blue terrain, but the interesting part is that it’s lighted for night skiing. 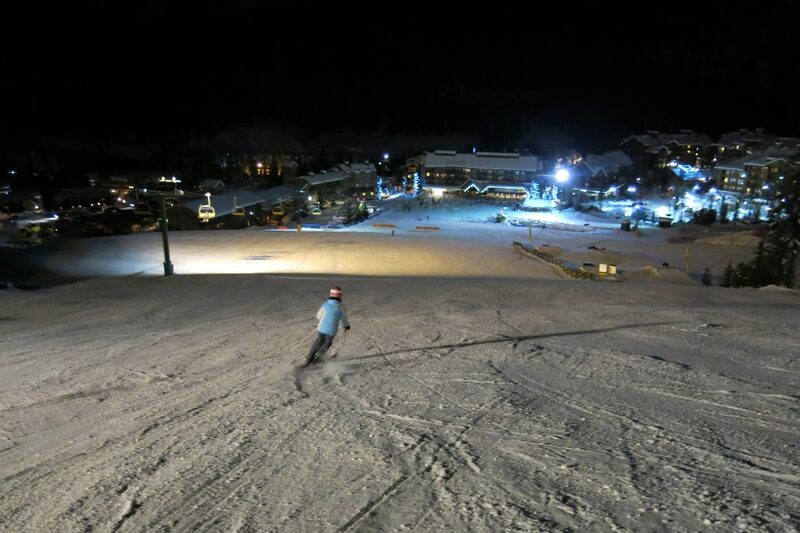 Since it was included in our day ticket, we had a VERY long first day because after an early dinner we went out and did some night skiing, which was huge fun. Earlier in the day we mostly skied the Champaign express and Founders Ridge. Champaign serves some beautifully groomed wide blue and black runs. This is the most popular terrain at Panorama. Founder’s ridge is a fun area with no direct lift serving it. 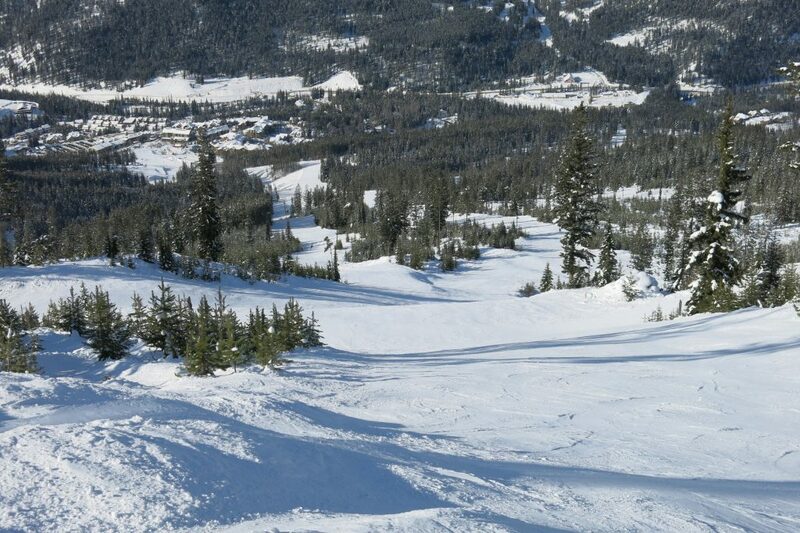 To ski it requires taking the Mile 1 and Champaign lifts back up and then traversing over. 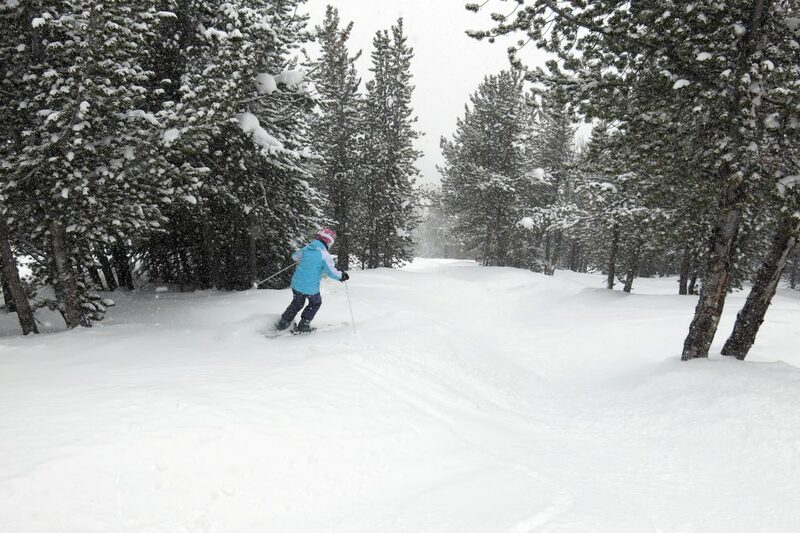 The terrain is rolling with some interesting long groomers and bump runs. I’m sure that this area will get it’s own lift soon which will make it more accessible. There is no one lift pod that is the main attraction at Panorama, which is what makes it so great. You can spend a lot of time at each one without getting bored. Next up we hit the Summit Quad, which is the only way to the top of the mountain and we spent a lot of time there the 2nd day. 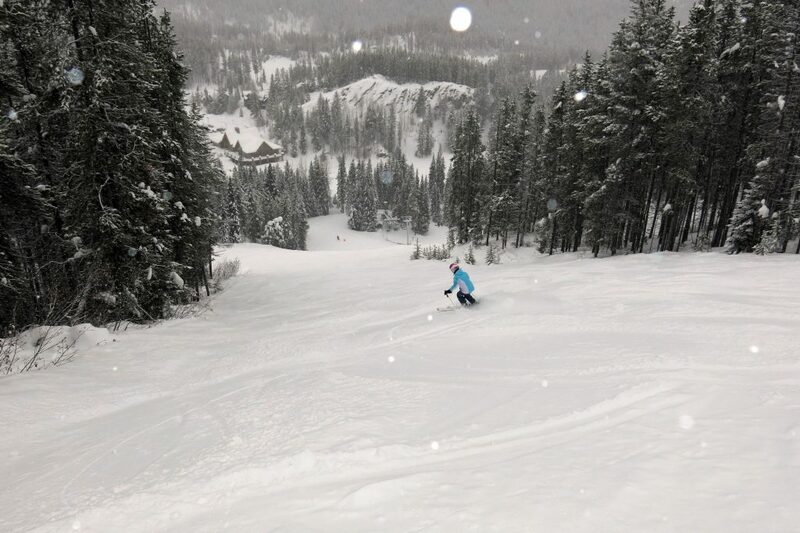 It was a powder day and the best snow was accumulating up top. There are some gladed areas that we were lapping with a friend Max who runs the local paragliding business. Max was great fun with a lot of stories and history about Panorama that he passed on. I used to paraglide and hang glide so we got to talk about flying on the chair rides. From the summit you can ski all the way down to the bottom of the Sunbird chair on one of the best groomers we have ever skied. It starts as Roy’s run and then turns into Schoeber’s Dream. 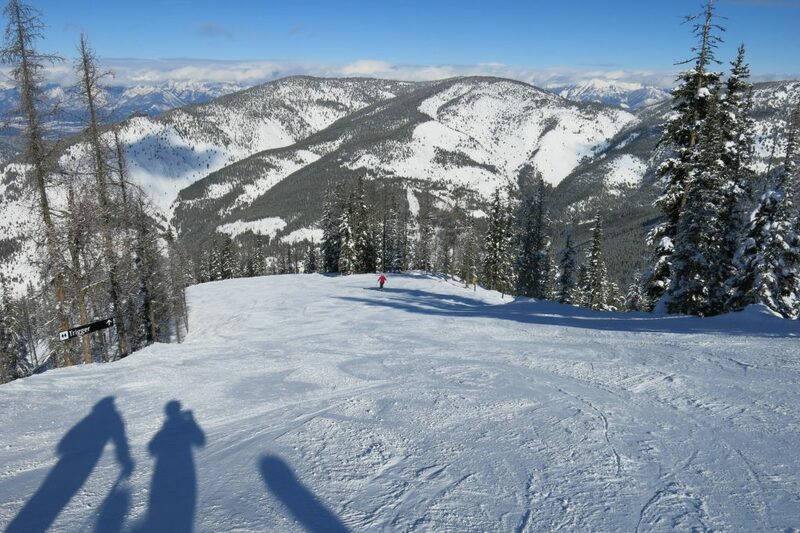 This is the Sun Bowl area which is another isolated zone not served by a lift. There are several ski pods at Panorama that deserve their own lifts so it will be interesting to see how they improve the lift network in the future. Going the other way from the top, you get to the steeper stuff. A short traversing walk slightly uphill gets you to Taynton Bowl. This is all double-black diamond terrain and it’s legitimately steep and not heavily skied so there is some great soft snow in there. It’s a huge area with lots of distinct lines. It would take many weeks to explore this area because once again there is no direct lift service to get back to the top. In fact it takes 3 lifts to get back up which means it’s probably a once-a-day type of run. The other area that we have great memories of is Dream of 1000 peaks and the Extreme Dream zone. We only had time for a couple of runs in there but the terrain is impressive and we wished we had discovered it earlier. 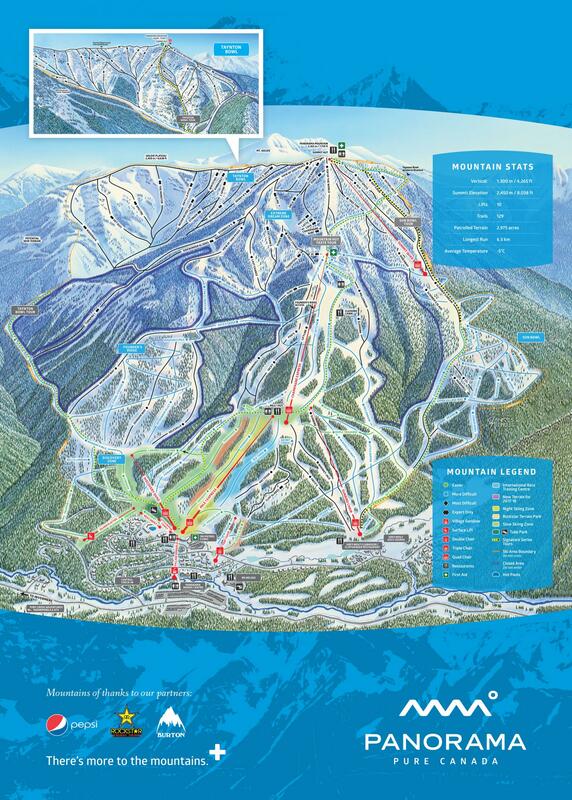 Honestly, Panorama needs a better lift network and could benefit from at least another 4 lifts. It could also use more natural snowfall. We happened to hit it in a far above average season, so our impression was possibly overly favorable, but we still had to give it a full 5 stars because there is so much to like there that even with the limitations it’s going to be at the top of our list. This is one of our top 5 favorite resorts. We wish it was closer and easier to get to because we would be visiting regularly if it was. Once we complete the project this will be one of the first areas we return to for round 2.